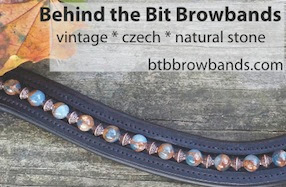 Behind the Bit: Noble Outfitters Givewaway! I love Noble Outfitters clothing, and at Rolex I saw shoppers and competitors in their clothing. 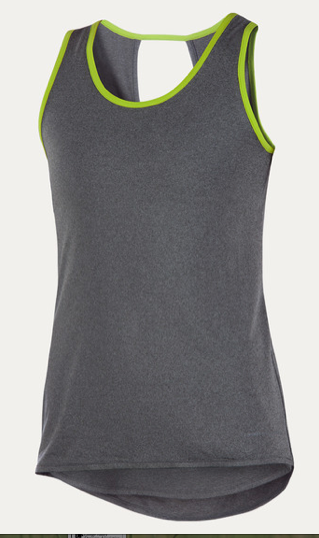 I'm fond of this Lil' Lover top, which I have in gray and lime. The draped back is awesome! Noble Outfitters has sent me a gorgeous black version of this top for a giveaway, in size Medium which fits an 8-10. Photos are below. To win, leave a comment on what you like to wear at the barn on hot-hot days, and give me a way to reach you. Thankfully we don't have too many REALLY hot days; when we do, I wear tank tops. I just like to wear a light colored tshirt or simple tank top when it's really hot out. I'm a fair weather rider, so if it's too hot or buggy, I won't ride. Barnwear on hot summer days.. I had it drilled into me growing up not to wear tank tops in case of a fall, but now that I'm riding in 90-degree weather for conditioning purposes, I'm finally starting to lose that rule. Lately I've been riding in lightweight breeches and a sporting-type tank top with LOTS of sunscreen! The Noble Outfitters top looks great, and I'd love to add that to my list of hot-riding-day options. I saw this exact top this weekend in the Antares dealer's mobile trailer. Unfortunately I was there when he was packing up so I didn't get to investigate further but I was intrigued. Normally I wear tank tops during the summer to ride in anyway, a tech fabric one seems like it would be even better. I have to figure out what to wear on super hot days this year since the first day of hot weather riding didn't go so well! I got off my horse and just sat down on the ground next to him before I passed out. Luckily some nice barn people got me some ice water and took my horse for a walk. This has never happened to me before, so time to come up with a strategy and maybe a new summer wardrobe to survive the coming hot weather! I just switched to fleece stirrup leather covers so that I can ride in shorts on hot days without rubbing my legs raw (South Texas, eeek!). Of course, this strategy is reserved for slow trail rides. I still have to go to breeches and boots for faster rides. By the way, love your blog. In the really hot summer, I got for those wicking/UV protecting type of tops, in tank tops preferably! I have some really light weight riding tights that I like too. I get burnt pretty easy though, so I'm also sporting a layer (or 5) of sunscreen.